Xenadrine Review – Does It Work? Home » Fat Burners » Xenadrine Review – Does It Work? The number of weight loss supplements on the market can be literally dizzying. No wonder it’s so hard to pick on and go with it. With thousands of choices, how are you supposed to know which is the best? Well, that’s why we’re here, doing our best to break it down and make it as simple as possible to choose. Today we’re taking a look at Xenadrine Ultimate, which is one of the most popular weight loss pills found in Walmart and other stores. The name “Xenadrine” has been around for years now, and they make a wide variety of competing weight loss pills including Xenadrine Core and Ultimate. It was popular back in the Ephedra days. But of course, that’s been banned for a while now. So let’s find out what’s in it now and whether or not it works to help you take the weight off. Ephedrine was effective, there’s no doubt about that. It’s been around in one form or another for quite a long time. Back in the late 90’s and early 2,000’s, it was actually my go-to fat burner. I went from a hefty 196 lbs. to an ABSOLUTELY shredded 168 lbs. in a matter of 3 months when it contained Ephedrine. But its safety was called into question when poison control center visits went up DRAMATICALLY in the early 2000’s, and 13 people actually DIED from products containing it. This led the FDA to ban ephedrines use as a weight loss supplement in 2004, a result that was actually overturned by the weight loss industry in 2005, but later upheld by the US court of appeals in 2006. So weight loss supplement companies had to scramble to come up with something else to do the trick. In the case of Xenadrine Ultimate, they largely rely on Caffeine to speed the metabolism, provide energy, and suppress the appetite. It sounds pretty basic and old school, but when combined with a cast of supporting ingredients, it actually can be pretty effective. Caffeine Anhydrous: We all know what caffeine is and does. Autumn Olive Fruit Extract: The addition of this ingredient is a bit of a mystery to me at first, and I couldn’t find much in the way of benefits of it during my research. Wiki has a page on it, and according to them it contains a 7 – 17 times higher content of Lycopene than an average tomato. (6) If you weren’t already aware, Lycopene is a strong antioxidant that has numerous benefits. As you can see, there’s a ton of Caffeine in Xenadrine Ultimate. 200 mg per serving to be exact, which is about double the caffeine content in a standard cup of coffee. With the addition of Yohimbe, which is a powerful stimulant as well, this can make for a very jittery experience. Clearly if you are sensitive to stimulants you may want to pass on this one. As you can see, they specifically state that you should take 1 serving twice daily for the first few days. In order to get the best effects, it’s defintely a good idea to take Xenadrine Ultimate on an empty stomach about 30 – 60 minutes before main meals. On days 4 and beyond, it’s suggested that you take 2 capsules twice per day. Don’t force yourself to do this! Listen to your body. If the jitters are too much, or you just overall feel uncomfortable, I would not recommend upping your dose like this. Both studies included a calorie reduced diet and moderate exercise, and you can read both of them here. One of the best things Xenadrine Ultimate has going for them is their 21-Day starter plan. For someone like myself, who has been into diet and exercise since I was like 16 years old, this information is not very informative. HOWEVER, for someone who is just starting out and is unsure of how to approach weight loss effectively, this information is gold. They break out their 21-day plan into Strength days, Cardio Days, and Rest Days, outlining what you should be doing on each day. Their nutrition plan includes a breakdown of daily protein, fat, and carbs requirements based on a 1500 calorie diet, which of course should be tailored to each individual based on their own calorie needs. They provide healthy meal plans, which include the exact ingredients needed. The only downside is they don’t give specific instructions on how to cook these items, however, any decent cook will be able to figure it out on their own. It’s been quite a while since I tested a weight loss supplement, and I figured since I needed to lose about 8 pounds I put on over the winter, this would be a good test. As with any stimulant-heavy supplement, I decided I would start off with just 1 capsule per day for the first few days, and then gradually work my way up. I skipped my usual cup of coffee this particular morning, and instead popped one of the capsules (which are surprisingly large). I could definitely start to feel the effects kick in within about 20 minutes, and by the one hour mark it seemed to have peaked. The first thing I noticed was any hunger pangs I had were completely eliminated. I didn’t feel hungry AT ALL for a good 2 hours. Another thing I noticed was a slight sense of nausea, which again, is very common with products containing yohimbe. It wasn’t a debilitating nausea, but a slightly uncomfortable one. For that first day I would say the effects lasted about 3 hours and then started to taper off. After a few days of just taking 1 pill, I decided to take 2 in the morning. I though about dividing up the dose by taking 1 pill first thing in the am, and then another one later in the day, but didn’t want to risk getting insomnia. Just like on the first day, I felt it kick in after about 20 minutes, HOWEVER this time the effects were much more pronounced. I decided to go to the gym early that day, and what followed was one of the most intense workouts I’ve had in a long time. I could literally feel the energy surging through my body, and after a 45 minute weight lifting session I found myself on the treadmill for a quick 5K. About 4 hours later is when I felt the crash. It wasn’t the type of crash I’ve gotten with other supplements like Zantrex Black and Fastin, but a crash nonetheless. All in all, I took Xenadrine Ultimate for about 2 weeks and dropped about 6 lbs. Not bad, considering I didn’t really change up my diet. 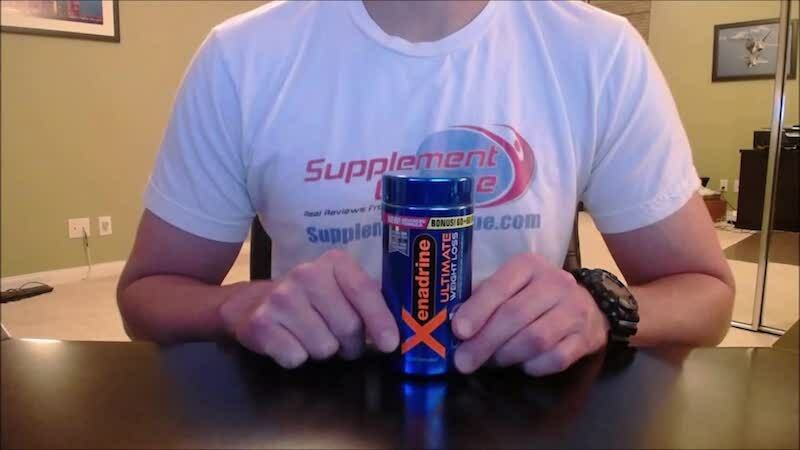 All in all, feedback for Xendarine Ultimate is mixed, which is not surprising for a weight loss supplement. Out of the 152 reviews currently on Amazon, a slight majority of 51% of people rated it 5 stars. Some of the most commonly reported Xenadrine Ultimate side effects include: Headaches, Insomnia, Stomach Cramps, Diarrhea, Anxiety attacks, Increased heart rate, and chest pains. These are no doubt caused by the Caffeine and Yohimbe content contained in the supplement. I’ve personally tested it, with favorable results. There are lots of reviews from happy customers who say it works. Xenadrine has undergone a couple of clinical tests showing that it works far better than a placebo when used in conjunction with a reduced calorie diet and exercise program. It’s relatively inexpensive to try. You can find it conveniently in stores near you, as well as online. Some people experience stimulant-related side effects with Xenadrine. A bottle only lasts 10 days when used at full dose as directed. There are several Xenadrine reviews complaining that it just doesn’t work. Xenadrine is in drug stores, big box stores like Walmart, as well as online. The 60 capsule bottle sells for about $25, and I didn’t see any evidence of a money back guarantee. In conclusion, I have to say that Xenadrine Ultimate does indeed WORK! Does it work better than the original formula? I don’t personally think so. However, it does seem to curb appetite, as well as help provide increased energy for physical activity. It’s not a miracle weight loss supplement. In fact, there are no “miracle weight loss supplements”, at least none that I’ve tested. But if you are committed to leading a healthy lifestyle which includes diet and exercise, Xenadrine Ultimate will help you get there. If you do well with stimulants, Xenadrine may very well work for you. Make sure to start off slowly, though, to give yourself a chance to find out how you’ll be effected. I like that they emphasize a healthy diet and exercise program to go along with the Xenadrine because those are the real keys to weight loss. Supplements like Xenadrine help, but it’s the commitment on your part that really determines your success. Have You Used Xenadrine? Leave Your Review Below! LeanBean Female Fat Burner is the BEST fat burner for women we\’ve ever tested. Read our review here. Biohacks your body into instant ketosis to burn fat instead of carbs. Weight loss, energy, focus, anti-inflammatory, anti-aging. I have personally used Xenadrine three times before and am using my fourth bottle now. I don't like using thermogenics more than one to two months at a time due to fatigue so I take a break after each bottle. The bottles I've bought are 120 capsule bottles from Kroger and with the update instructions (4 capsules a day) last thirty days. 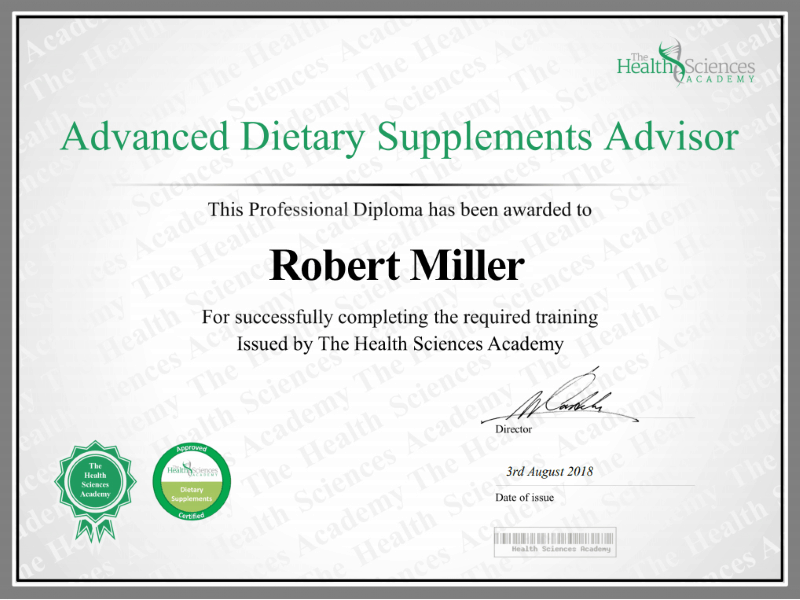 I can speak to the ingredients do anything special to my metabolism, but it does give me significant energy and suppress my appetite, which makes working out and eat low calorie much easier. Next Next post: ManPower X Review – Should You Use It?